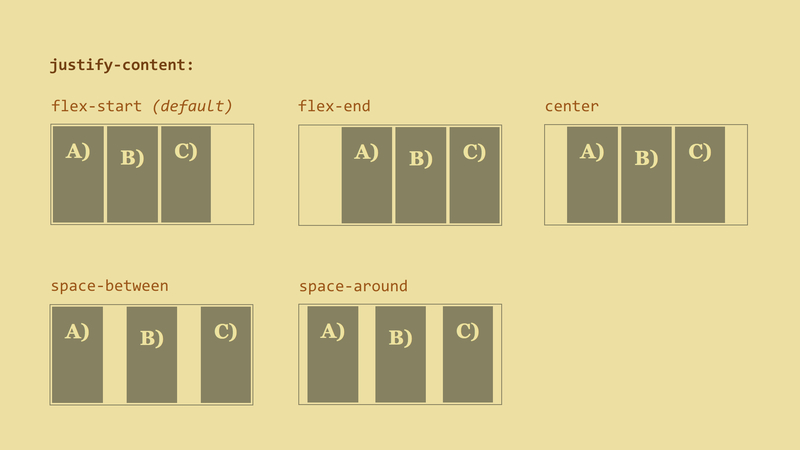 Besides display: flex flexbox container can be defined as an inline element -display: inline-flex. In both cases, all direct descendants become flexbox items. This property will set the direction of the main flexbox axis. The default (row) value will place all flex items in a row. If you want to make a vertically oriented layout, use the column value. The order of items will correspond to the HTML order. 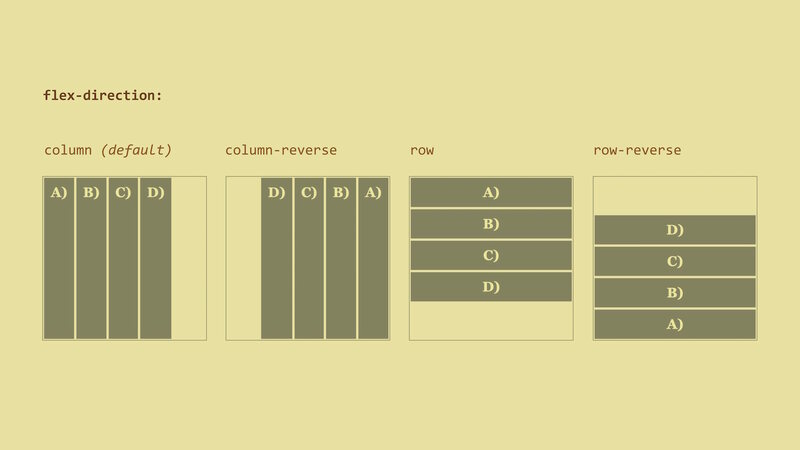 If you want to reverse the order, just use the row-reverse or column-reverse values. This will only affect the visual rendering of the items, not the actual order - i.e., when rendering a site or going through the navigation using tab key. Some of you might have noticed that we can use this property to change the order of list items. The default nowrap value tells us that all elements will stay on a single line next to each other (or under each other when using flex-direction: column). Then we have the wrap value. This value will wrap the items onto multiple lines if the items’ content can’t fit onto a single line. 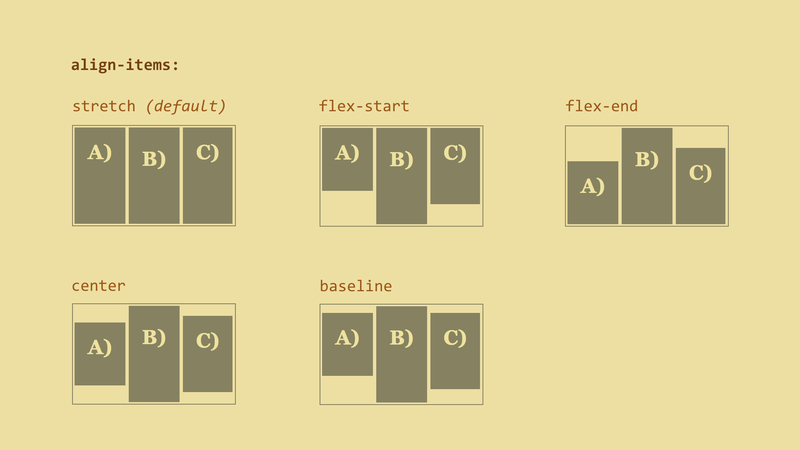 The last flex item on the first line will break onto the next line and align under the first item. 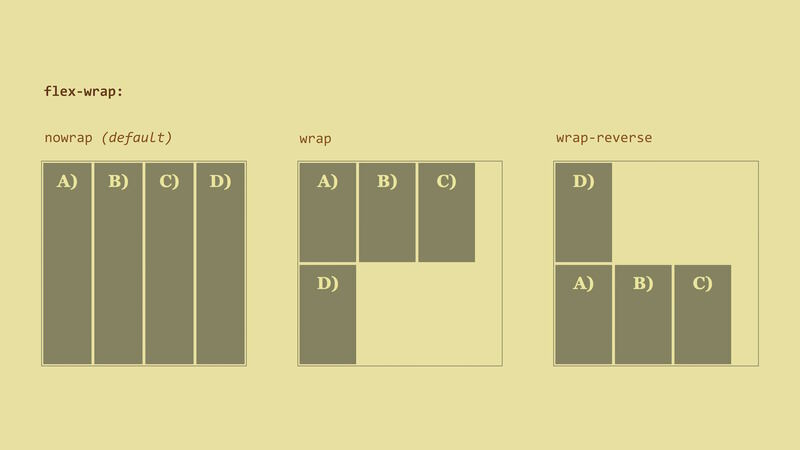 The wrap-reverse value does the opposite - the last item will jump onto the previous line and align over the first item. 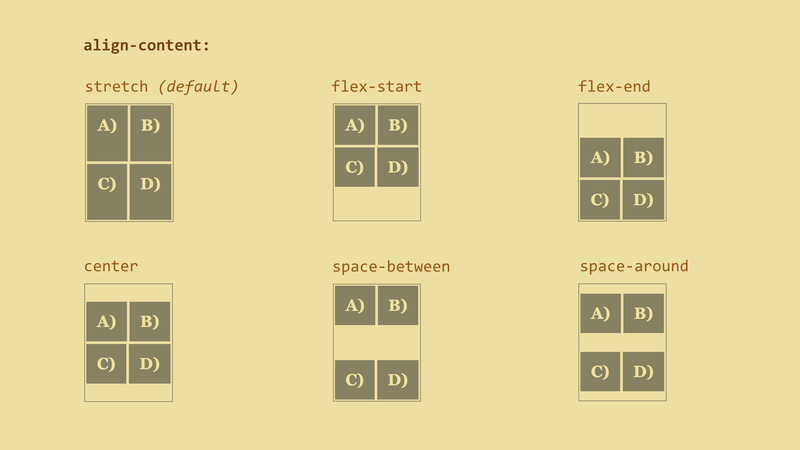 flex-flow: row – this is the default value. Items are placed in a single line and do not break. flex-flow: column wrap – items are placed in a column and break. We have explained the flex container properties. Now, let’s explain flex items as there is more to explain. Let’s apply the justify-content property to the flex container, dictating how flex items will be aligned along the main axis. The default value is flex-start, aligning the items to the start of the main axis. The align-items property can also be applied to the flex container. The default value is stretch which stretches the item to the full width of the cross axis. Be careful, though! The stretch value will not work if the items size of the cross-axis is defined. In other words, if height is set, it will not work. And here is another alignment property. This one applies only to flex containers whose items are wrapped onto multiple lines. So, is all clear now? Ok, now let’s move on to browser support.